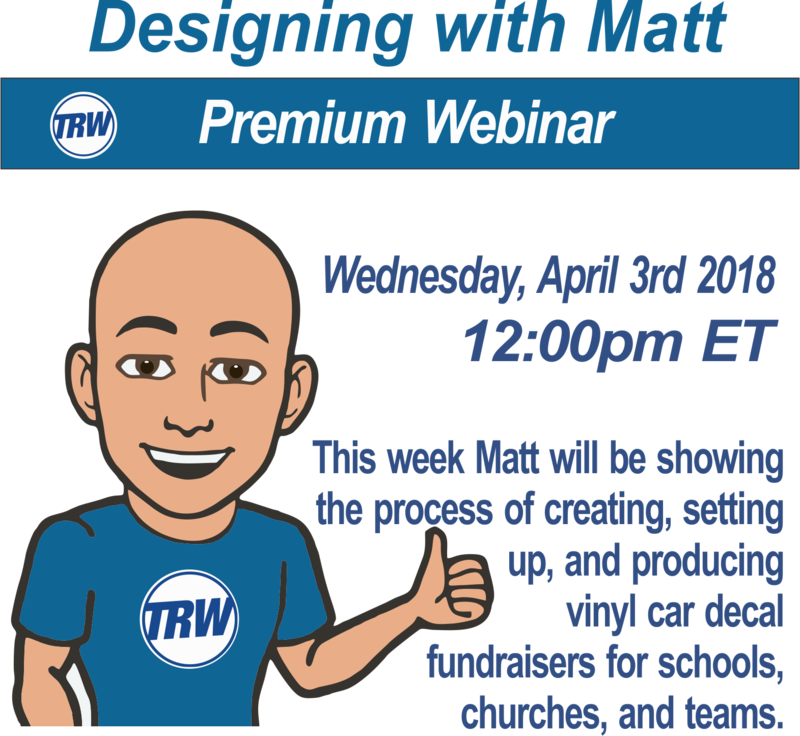 During this Designing and Production with Matt we will be cover how to set up and produce car window decals for fundraisers. I will cover how to set up and edit the designs in CorelDRAW and the Wizard as well as how we produce to decal to save time an increase profits. Find the link to attend the LIVE webinar in the attached file after your purchase. This will allow you to enter the webinar with the unique link. This Premium Webinar includes a recorded video link. You will receive the live training, recorded version, and a special coupon code.